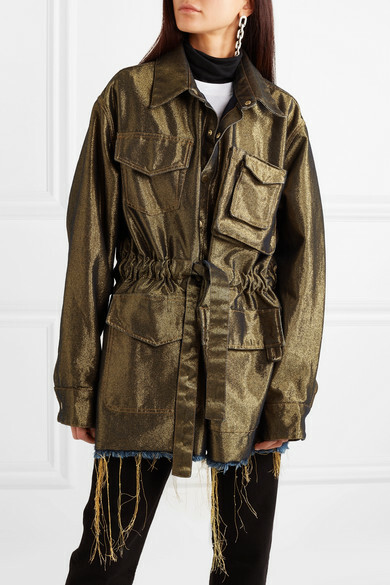 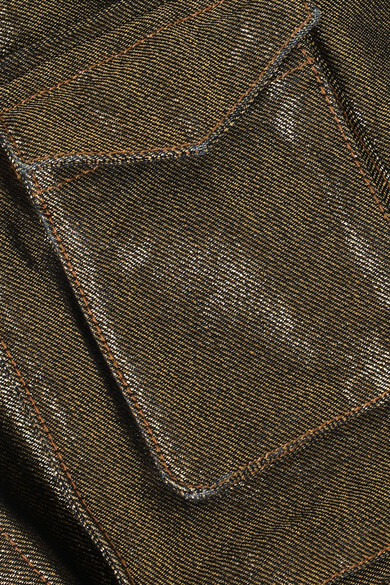 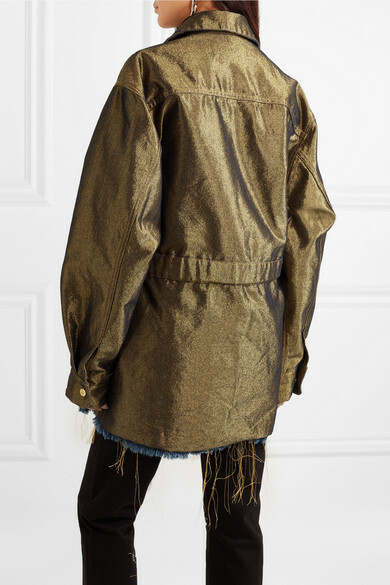 Marques' Almeida always uses denim in the coolest of ways - this jacket is made from a cotton-blend that's woven with golden threads so it glistens brilliantly in the light and has a raw-cut hem. 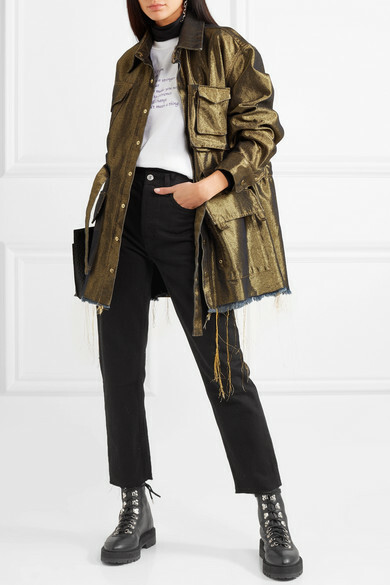 Designed in a loose utility shape inspired by the styles worn in London's punk scene, it's detailed with cargo pockets and a drawstring belt to define your waist. 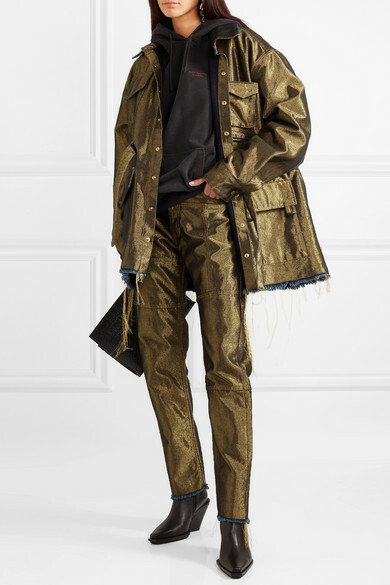 Shown here with: RE/DONE Jeans, BLOUSE Top, Loewe Pouch, Off-White Ankle boots, Wolford Bodysuit, Jennifer Fisher Earrings.